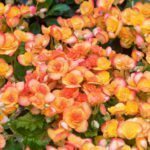 The more than 1,000 species of begonia are part of a complicated classification system based on flowers, method of propagation and leaves. 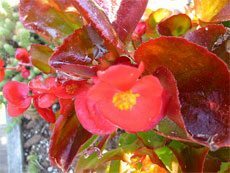 Some begonias are grown just for the fantastic color and shape of their foliage and either do not flower or the flower is unremarkable. Read on to learn more. Begonias are found wild in South and Central America and are native plants in India. They can be found in other tropical climates and propagate by a variety of means. 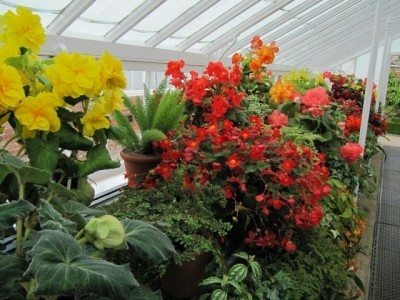 The sheer variety of begonias has helped make them favorites of garden clubs and among collectors. Each of the six begonia sub classes has a unique leaf that can be used to facilitate identification. Image by daryl_mitchell Tuberous begonia are grown for their showy flowers. They can be double or single petaled, frilled and a variety of colors. 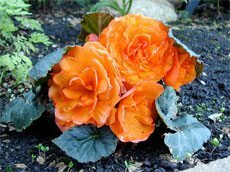 The leaves of a tuberous begonia are oval and green and grow about eight inches long. They are in a compact habit like a little bonsai shrub and grow from swollen soft stems. The leaves are glossy and will die back when temperature drops or the season changes. The leaves should be left on so the plant can recharge the tuber for the following season’s growth. Image by Jaime @ Garden Amateur Cane stemmed begonia are grown mostly for their leaves which are heart shaped and gray-green. The plants are frost tender and oval, approximately six inches long. 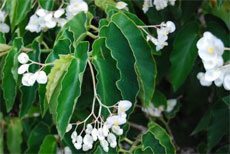 The leaves are evergreen and the undersides will be mottled with silver and maroon. The leaves are carried on bamboo-like stems that can reach ten feet in height and may need staking. This type includes the “Angel Wing” begonias that have glossy green leaves shaped like delicate wings. Image by Quinn Dombrowsk These are also foliage begonias that are very nearly a hot house variety. They do best in a temperature of 70-75 F. (21-24 C.). The leaves are heart-shaped and are the most striking foliage producers. The leaves can be bright red, green, pink, silver, gray and purple in vibrant combinations and patterns. The leaves are slightly hairy and textured adding to the interest of the foliage. The flowers will tend to be hidden in the foliage. Image by AnnaKika The leaves on rhizome begonias are sensitive to water and need to be watered from below. Water will blister and discolor the leaves. Rhizome leaves are hairy and slightly warty and can come in several shapes. The multi-pointed leaves are called star begonias. 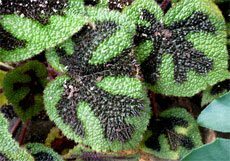 There are some like Ironcross that have heavily textured leaves and the very frilly lettuce-like leaves such as beefsteak begonia. Leaves can vary in size from an inch to nearly a foot. 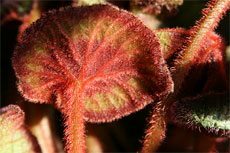 Image by Mike James Semperflorens is also called annual or wax begonia due to their fleshy waxy leaves. The plant grows in a bushy form and is grown as an annual. Semperflorens is readily available for home gardeners and are prized for their constant and prolific blooming. Foliage can be green, red or bronze and some types are variegated or have white new leaves. The leaf is smooth and oval. 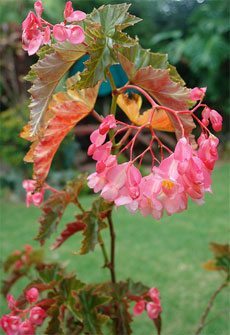 Image by Evelyn Proimos Shrub-like begonia are compact and tight clusters of 3-inch leaves. The leaves are often dark green but may have colored spots. Humidity and bright light in winter increase the brightness of the foliage color. Begonias are known to be leggy so the foliage can be pinched off to encourage the shrub shape. The pinched leaves (with a little stem) can go on a bed of peat or other growing medium and will push roots from the stem point to produce a new plant. Read more articles about Begonias.